After the acclaim of their Clone Wars Vol. 3 (The Recession) tape last year, Show Dem Camp wasted no time before teasing a new project which has finally surfaced online for their enthusiastic fans and lovers of good music. The rap duo have managed to stand out from their counterparts with their laid back ambient themes that challenge all the preconceptions we already have about them. But it’s always nice to hear uplifting rap music as opposed to the throne hungry rap bars that have become as threatening as they are repetitive. 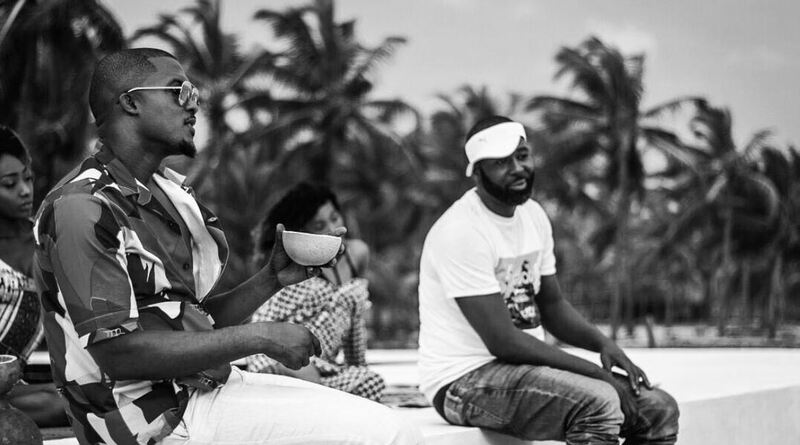 For their new project, Show Dem Camp are building off the success of their high-life infused “Feel Alright” single produced by Ghanaian producer Juls, they decide to take the plunge on a full on, all out project. Enlisting producer Spax to produce all 6 tracks on Palm Wine Music Vol. 1 proves a stroke of genius. Other regular features on Show Dem Camp releases—BOJ, Funbi, LadiPoe, Ajebutter — also feature plus Tomi Thomas and relative newbie Odunsi The Engine who have made their mark as biggest exports of the modern-day Nigerian pop sound-scape. They all add their distinct sound to the West African traditional beat samples but Ghost and Tec remain front and center as they orchestrate the playlist inspired tape. Palm Wine Music Vol. 1 begins with “Up 2 You“ featuring Funbi and it listens like the opening performance of a reunion party. Funbi ensures that the track lives up to expectation with a signature cutesy hook that conjures images of a dance tutorial as he sings “Lemme show you how/ Catch you when you feel the vibe”. SDC’s laid back melodies are mirrored by the mid-tempo acoustic guitar riffs and piano harmonies primed to have hips swaying. “Threw dirt on our name but we laughed it off” they joke. The relative ease with which they approach this project allows them include a skit in a seven track EP but it works for the feel good atmosphere they are trying to build. Ajebutter takes the hook on “Independent” giving heft to the skit to show appreciation to women but the humor keeps the topic light before it escalates into an argument as discussions often do at parties when the drink starts flowing. “She Wants More” follows the same narrative and Poe features delivering his story telling rap lines on his verse as well as chorus on the mid-tempo jazzy afro-beat. 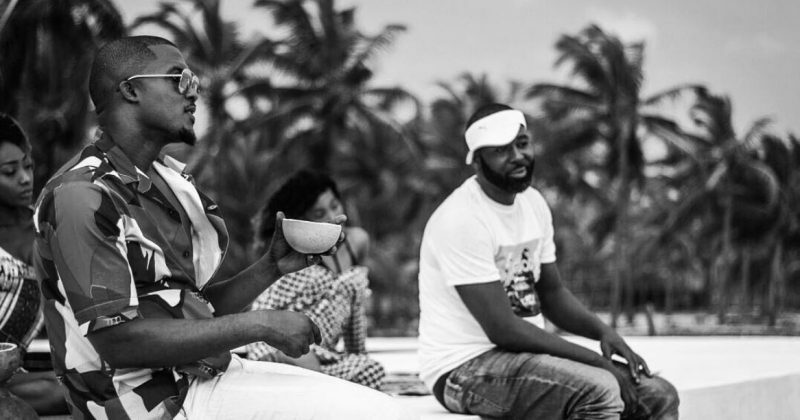 Boj’s obvious chemistry with the rap duo has shown on previous releases but Palm Wine Music sees him work with new a artist he hasn’t worked with before. “Compose” is the 2nd track on the EP and he instantly leaves his mark with his unmistakable gruff vocals on the love song but it’s Spax’s production that really resonates as he fuses calypso palm wine guitar riffs, Caribbean piano harmonic concepts and jazz horn arrangements to build an Afro-pop vibe that can be heard almost all through the tape. Boj also features on “Popping Again” along side Odunsi on the mellow piano harmonies that snake around the gong riffs and guitar samples. The song is perhaps the most serious minded track that sees the artists reminisce on where they started from and how far they’ve come. It also serves as the perfect exit point for an album designed to provide a feel good atmosphere at parties while drinks go around. Palm Wine Music has all the characteristic feels of party music. Their rap flows don’t disappoint and though the melodies are laid back, the production is far from spiritless. The tape may not convert anyone who didn’t already think highly of the group but the success of their Clone Wars trilogy leaves us confident they have no worries in that department. Listen to Show Dem Camp’s Palm Wine Muisc Vol. 1 below.